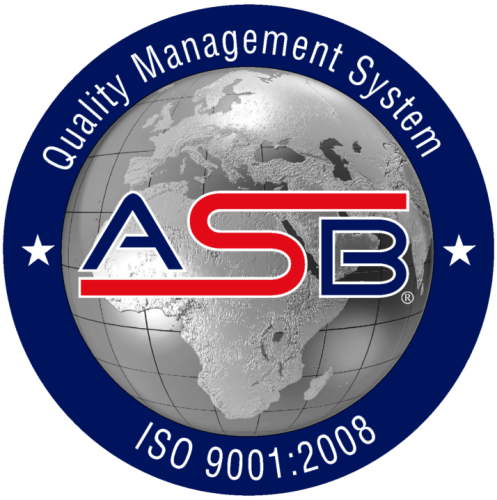 * Meets or exceeds all applicable industry standards including OSHA and ANSI. 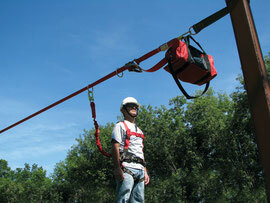 The Sayfline™ horizontal lifeline systems are not only lightweight and easy to install, they are also extremely portable. Just disassemble and take to the next job. Engineered with DBI/SALA attention to quality and detail, the Sayfline™ systems will work alongside you during maintenance, bridge work, construction and manufacturing with absolute safety and reliability. 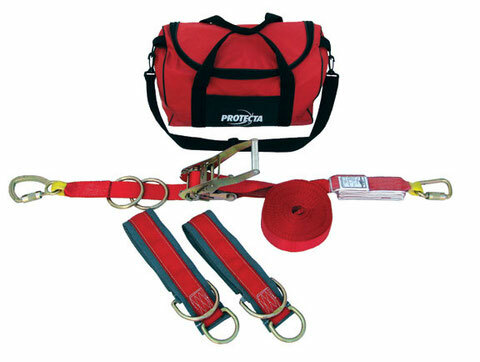 The PRO-Line™ horizontal lifeline systems are lightweight, easy to install and extremely portable. Just disassemble and take to the next job. PRO-Line™ systems will work alongside you during maintenance, bridge work, construction and manufacturing with absolute safety and reliability. The PRO-Line™ system installs in seconds, without special tools or equipment, maintaining optimum worker productivity. 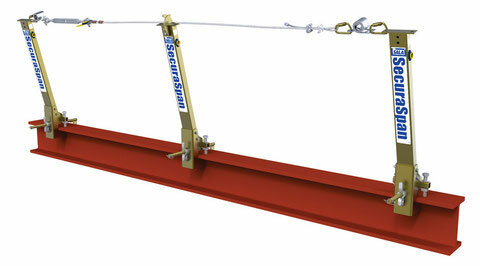 Simply attach the lifelline and tie-off adaptors to 5,000 lb. (22 kN) rated anchorage points and tension the lifeline with the integrated ratchet. The system is extremely lightweight and portable, allowing you to move it and reuse it over and over again. Refer to the user instruction manual for complete operating details including required clearance distances. The built-in shock absorber limits arresting forces during a fall and provides the user with a visual impact indicator for added safety. 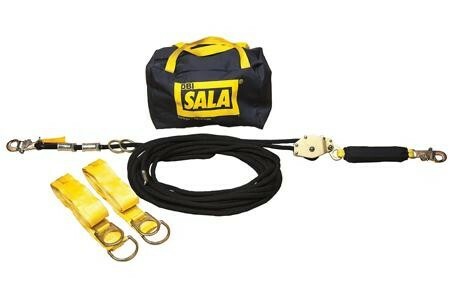 Connection to the lifeline is made by attaching the hook of a shock absorbing lanyard directly to the lifeline for complete ease-of-use. The carrying bag makes transporting and storing the system easy, reduces damage from dirt, moisture and UV degradation thus improving the longevity of the system. Reliability that saves you worry, time and money. 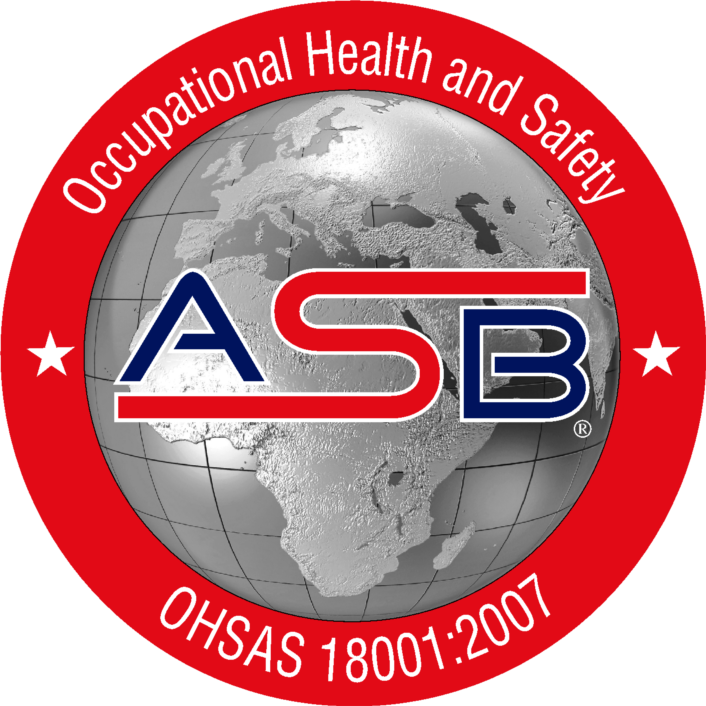 PRO-Line™ complies with OSHA requirements. The reputation of Protecta stands behind every one of our products supported by a two year warranty on parts and workmanship. The SecuraSpan™ I-Beam Stanchion and Bases are lightweight and extremely easy to install engineered fall protection systems, ideal for steel construction applications. Spans can be up to 60 ft and with the optional “bypass” brackets, the system can be configured to run indefinitely for ultimate jobsite flexibility. All adjustments made from top of beam. Fits flanges 6” to 12” wide, 2-1/4” thick. Optional bases for 18”, 24” and 36” widths. Extremely Lightweight and Portable - Provides fast and easy handling, installation and storage for maximum worker productivity. Single and Multi-Span Flexibility - Provides complete customization of your system depending upon the clearance below the work area and overall length needed. 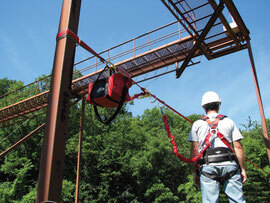 Pass-Thru 100% Tie-Off Protection - The multi-span intermediate provides bypass capabilities for continuous connection, complete horizontal mobility and 100% protection. 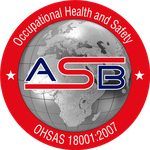 Integrated Energy Absorber - Zorbit™ energy absorber limits fall arrest forces on the worker to safe levels, minimizes fall clearance needed and protects the structure. Flexible System Capacity - System capacity of 2 workers per span, with a maximum of 6 workers on multi-span systems provides added jobsite flexibility. Durable Construction - Extremely rugged zinc plated carbon steel construction provides corrosion resistance for longer service life.